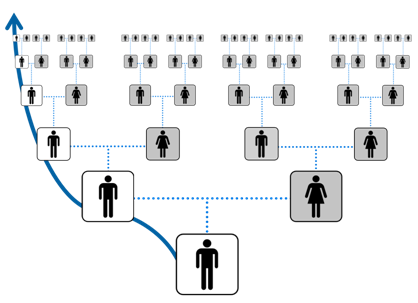 Genetic Genealogy Ireland: Which DNA test is best for you? There are three main types of DNA test that can help you with your family tree research. Which test is best for you very much depends on what question you want the answer to. 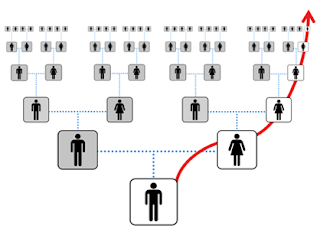 In brief, if you want to research a particular surname, then a Y-DNA test might be the best; if you want to see if two people are related on your direct maternal line, then a mitochondrial DNA test might be best; and if you are interested in connecting with cousins who might be able to help you break through that Brick Wall in your research, then an autosomal DNA test might be best. This third type of test is the most useful and the most popular among genealogists. It can be taken by both males and females, and can help identify more recent relatives (usually up to 5th cousins). 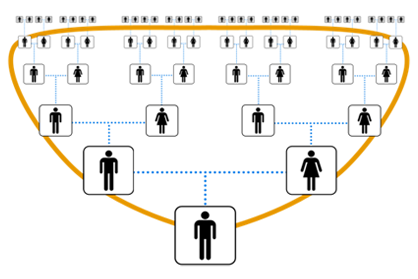 The autosomal DNA test looks at how much genetic material is shared between two individuals and calculates if they are likely to share a common ancestor. However the test is only accurate back about 7 generations or so (i.e. to your 4th great grandparents). This is because with each generation the contribution of an ancestor becomes more and more diluted. Connecting with cousins allows you to collaborate on solving family mysteries. They may have the information you need that solves a puzzle that has been in your family for decades. They may also have photos or even personal letters that have been passed down in their family from generation to generation. And this new information may help you push back a particular ancestral line an extra generation, or it may open up a whole new wealth of ancestral material that you never would have expected.